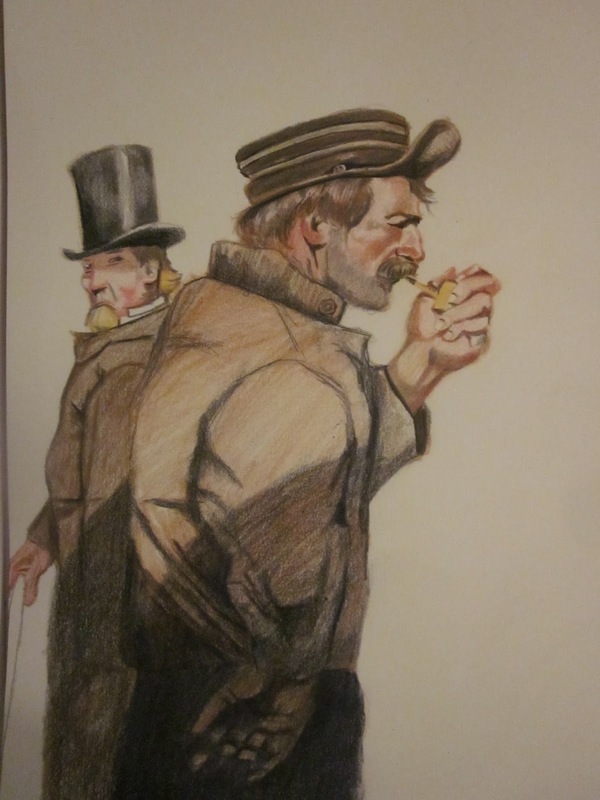 My own tribute to N.C. Wyeth, here are a pair of drawings I completed this long holiday weekend. As we celebrate Thanksgiving, I am thankful first and foremost for my family. I am thankful for my wonderful, beautiful and supportive wife and for each of the children I've been blessed with. Without my family, my art would have much less meaning for me. I am also thankful for the opportunity to create art. I have learned after many years to accept whatever gift it is I have and in return I exercise it. This year has been a good one for my art. I believe I've made some strides in both drawing and painting and it has been enjoyable. I've sold many paintings this year, more than any year in the past, but that was never something I was going to measure my success by. I only mention it here because I think when people give you their hard earned money in exchange for your art, they're investing in you and I just want people to know how much I appreciate that. I use the money from the sales of my art to buy more canvas, paints, brushes, pencils and other supplies. Like I mentioned I very much appreciate that people like my art enough to buy it, and as a result I invest in creating more of it. 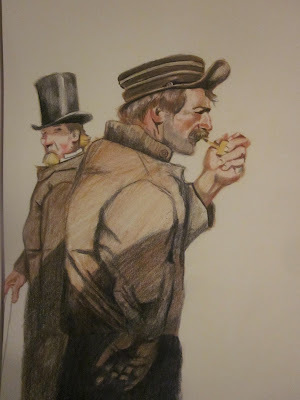 So this weekend I put those tools to good use and did these two drawings from illustrations of the famous Mr. N.C. Wyeth.